Once upon a time, a long time ago, all the best stories were about magical things. Goblins. Dragons. Angels. Ghosts, vampires, and werewolves too. Spirits, demi-gods, zombies, even aliens. The supernatural, preternatural and unnatural are the sort of stories I've loved since I was a little girl. But my very favourite of all was, and still are, faerie stories. Not just the little winged, sparkly goodness flitting about making everyone smile. Not just the fairy-turned-humans you see in Peter Pan, Once Upon A Time, and Maleficent. All the faerietales, with all their weird and wonderful twists. To start with the obvious, whom, or more appropriately what, are faeries and the fae? A quote from one of my favourite tv shows outlines it well; the Fae are supernatural creatures that have existed secretly alongside humans for thousands of years, closely resembling them, and feeding off humans in various ways. Whereas humanity consists of a single species (homo sapiens), there are myriad species within the Fae universe. [Many] of the species seem to be similar in appearance to, and have the same intelligence as, humans. Interestingly, for the most part, this is true. You've probably interacted with the fae and don't even know it, mainly because they look like you. On the note of intelligence, I'm half in agreement; yes the intelligence level is similar to humans, but it's not the same. These are beings with physiology, awareness and abilities far different to the human one. Their needs are similar, but not the same. For example, their instincts for their offspring and family are protective and fierce, just like human parents. They protect their young like any parent would from all the dangers the world has to offer. But never mistake fae motivations for having empathy with human ones. The fae are much more ruthless, and their instincts are more animal, more primal, and much more likely to end in bloodshed when threatened. Fae society does not have laws like humanity does. It most certainly has codes and honours, but the ethical boundaries vastly diverge from human ones. The next obvious question is, why are they here? Why do the fae, or any supernatural creature, not reside in their own realm, their own plane of existence? This question has many answers, and it's difficult to tell which one is correct. The fae have been here for thousands upon thousands of years. Stories change, memories fade, new generations grow and tell their own tales. Few of fae-kind keep written records. It's not unheard of by any means, but unlike human society, faerie folk rely mainly on oral tradition. It's one of the greatest differences between the races. One of the most popular theories revolves around civil war in Faery (also known as Otherworld, Home or sometimes Faeryland). The fae spent a lot of time battling each other for land, for besmirched honours, for blood feuds going back hundreds, sometimes thousands, of years. Whatever the reasons, the war ripped a hole in the fabric of the universe and their world bled into the human world. Like any good human sci-fi story, this bleeding creates problems; the universe cannot support such a rift and so the fae are mainly stuck here, constantly trying to find a way home, sometimes succeeding, sometimes not. Other theories suggest the fae are fallen angels, the oldest race of humans, or even the spirits of the dead come back to this earth. Whatever the case may be, there is no way to prove any speculation. The oldest of the fae may know, but they hide away, even from their own kind, and most certainly aren't willing to share their knowledge. With that being the case, we move onto how the fae live on this earth. An earth that is, on the surface, much akin to their own. But with obviously growing differences. A little background here; all fae are creatures of magic and dreaming. They have almost no use for technology or conventional human devices. Their mystical nature is intrinsic and unbreakable. Even a faery supposedly without magic is still a hundred times more magical than a human. This leads to the belief that faeries are allergic to cold iron. Again, this is another half truth. Fae are allergic to certain man-made fibres, things made with technology, and when humans turned away from magic and embraced the banality of technology, iron, being a worked-metal, symbolised all the differences between humans and the fae. Or so the tale goes. Depending on what you believe, faeries living in modern times are still highly allergic to iron. This is not necessarily the case for a few reasons; like any living thing, faeries will develop immunities to things if exposed long enough. And so it is with iron. Combine that with fae/human hybrids, and the natural protection develops even better. 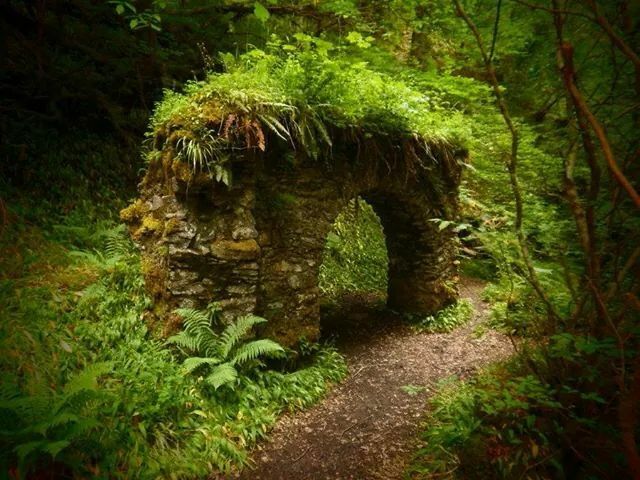 Which brings us back to how the fae live among humans. The straightforward answer is cross-breeding. The fae, left here with no way home, sought to make the best of a bad situation. And really, when you look at the similarities between the races, most fae decided reproduction was better than extinction. There are still the purists among the fae that believe humanity are unclean, but most have a more modern view. The fae are notoriously fickle when it comes to fertility, both for themselves and when blessing humans. And so the fae bred with humanity. Everyone has a tale of a child who was different, had strange abilities, or just didn't quite mesh with this world. I'd be very surprised if you didn't know someone with fae blood. Whether you can recognise it or not; that unusual feature, that weird characteristic, that unnatural feeling - that's the faerie blood showing true. Halflings - as they are called - are not uncommon. Not prolific by any means, but not uncommon. This breed, for want of a better term, comes when one or more parents has a direct connection to the fae. The connection can be a few generations back, but generally no more than that. Fae blood is strong and tends to breed true to lineage of the faerie it descended from. Halflings are not to be confused with the Touched; humans who have been touched by magic or experienced fae so close at hand that it forever changes them. These people have no supernatural background or blood of their own, but experience has woven itself so deeply into their being that they are no longer just human. A very curious thing now happens in society with halflings; they flourish or they become dormant. Which answers the question of why don't we see more faeries? In their homeland, faeries are exposed to magic every minute of every day for their entire lives, and also in the afterlife. Humans, surrounded by concrete and glass and plastic, experience very little of magic. Like electricity through water, magic needs a conductor and living things do it better than inert lumps of man-made objects. It's also in the upbringing. A child brought up to believe in all manner of weird and wonderful things, taught to believe in their intuition, a child who plays make-believe, will certainly develop their fae side more than a child bought up with a sense of reality as human society considers it, and taught to believe more about what they can see, hear, and prove, than what they can't. This is no comment on how children are brought up. But if a fae or halfling child is to thrive, then they must be given room to develop the unseen. Otherwise, much like human children who forget how to ride bikes, these children will forget how to be magical. The ability will never quite leave them, but will lie quietly inside, sleeping like some great beast waiting for the spring. A note of care here; those with repressed blood are to be treated with care if you come across them. Most people naturally spurn learning about themselves lest they find something repellent in their nature. Add to that the fact that it could be a supernatural element and most people baulk like frightened horses. Some don't, some find this kind of revelation a relief, an answer to unknown questions they've had about themselves for years. But on a whole, humans, or people who think they are human, are a skittish lot. Tread with care. Faeries live in lots of different places, in lots of different abodes, depending on their location in the world, their breed, and if they have the coin to live where they please. Generally you will find them living in much the same space as a human would, but with significant differences if you're sharp enough to catch them. Brownies, piskies, and domovoy like to live in proper homes with humans. Without going into too much about each breed, the aforementioned have an almost interdependent relationship with their housemates. The former is a beneficial one, the latter tends to be more mischievous, bordering on malicious. Either way, these races rely on interaction with their humans; whether it be cleaning, feeding or generally taking care of the well-being of the inhabitants, or thinking of new ways to frighten or unnerve them, they need this interaction to survive. Otherwise they become reclusive, and their personalities warp, much like a human left alone too long without contact, except much, much worse. Such creatures look more unnatural than most, with a likeness to humanity, but not enough to pass consistently in everyday society. They are not often seen outside the home, depending on their housemates - whom they consider family - for any needs outside the domicile. Court faeries (Unseelie, Seelie, Seasonal courts) tend to live most like humans, as well as being the ones most likely to pass in human society. Putting aside the obvious differences, Court faeries live in houses or apartments in cities or towns of their choosing. Due to their reasonable likeness to humans, they hold jobs, sometimes even in positions of power, and spend most of their time like a human would. Most being the operative word. Court faeries are still fae, with what they consider purer blood than any other fae. It makes them arrogant, dangerous and powerful. Their magical side, even in halflings, tends to be stronger than most fae, as they have developed a resilience to various situations and beings, as well as cultivating both their human and fae side. 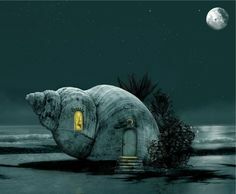 A Court faerie will have a normal looking home, but for clear signs if you know what to look for. Beings with an innate connection with nature tend to mesh their beliefs with those of humanity and follow some sort of pagan path. It is not uncommon for faeries to be pagans, Wiccans or some derivation or inclination of both. Look for an altar; a place set specifically for devotion to the natural world. Flowers, candles, rocks, shiny objects woven into pretty patterns. A lot of fae are open about their beliefs, but not always. Any symbols of mysticism or nature religion can also be signs of a fae resident. More obscure but easily spotted signs include a penchant for unusual books; language books, spell books, books on body language. Faeries might be good at fitting in, but it's a constant force of will not to revert to common nature and go native, as it were. Language books help a fae understand how humans learn a skill outside of their own culture. They may honestly enjoy the language, but it also trains their brain to think like a human. Spell books are a treat for faeries living in a world where their magic doesn't function as naturally as it would at Home. Where do you think humans originally learnt their spells from? One theory is that the fae taught humans long ago from their world, and when the divide no longer supported a constant gateway, they had to re-learn their own teachings from this side. A book on body language would be a dead giveaway. Unless your new friend is a student of psychology, this is generally a good sign they have fae blood. Barring the exception of the Courts, touching, smelling, licking and kissing are not taboo in fae society as they are in human society. A fae who wants to make sure they fit in learns how humans interact. Faeries have a decidedly sweet tooth. Packets of sweets, even in the home of the most determined health addict, can give you an idea of fae-ness. The one concession even the most purist fae will make is to human food. This one is a tricky one to guess, but I've not met a fae who doesn't marvel at human food; hash browns, chocolate, dumplings. It's not all junk food, but no faerie can resist some marvellous little creation that just cannot be reproduced at Home. Child-like delight at something you take for granted might alert you to a faerie friend. How does one recognise the fae? Apart from the above, there are ways to distinguish the humans from the not-so-human. When you shook that man's hand, your palm tingled pleasantly, and the sensation lasted longer than expected. When you said hello to the girl at the coffee counter, her eyes locked with yours and you couldn't look away. A little girl in the street asked you to dance with her and you said yes, but you don't know why. The former has nothing to do with desire or attraction in the sexual sense, and everything to do with glamour. The latter is an easier charm to spot. All fae have glamour and they use it like they breathe. Fae children do it somewhat unknowingly and with little grace, so the effect can be unsettling in the wrong circumstances, and therefore easier to recognise. Glamour is the natural ability of getting someone to see what you want them to see, or even do what you want them to do. It's a shimmer, a spectacle, a compulsion to please. It also hides or reveals whatever the bearer wishes. For the fae, this ability is not dissimilar to how humans wear make-up, different clothes, or colour their hair, but the effort is different. Whereas humans put something such as clothes or make-up on and hope for the desired effect, fae project their desires from within and generally get what they want. However, as discussed, magic works differently than it would in the faerie realm, meaning that fae may project what they wish, but it doesn't always work out as expected. Grimm and a lot of other fun shows seem to have gotten elements right, even if they mix a lot of other things up. This example is good because it shows fae becoming emotional and exposing their true selves, or actively revealing themselves for a reason. Unlike the tv show however, most faeries are proud of their nature and enjoy showing their real face. Or faces for that matter. In relation to humans, it can be hit or miss. Humans are afraid of what they do not understand, and revealing an extra set of teeth, tentacles, or even some pretty wings rarely goes down well. Fear and curiosity can go hand-in-hand, so if humans aren't afraid, they want to study things. Under microscopes. In labs. See where this is going? Then you can probably imagine how they fae react, and why they shy away from exposing themselves.